Li-Ion Battery is receiving a great deal of public attention because of high power and low maintenance. Besides, it is becoming a common replacement for the lead acid batteries that have been used historically for golf carts or utility vehicles. Instead of using heavy lead plates and acid electrolyte, the trend is to use a light weight Lithium Iron Phosphate cathode. Li-Ion battery packs can provide the same voltage as lead acid batteries and therefore no modifications of the cart's electrical drive system are required. Specially designed for portable electrical devices, Li-Ion battery pack can be found in many fields from wireless communications to mobile computing such as tablet computers, cell phones, laptops etc. Because of the impressed light weight, they have gradually been the alternative way in place of traditional power supply solution. Li-Ion battery pack is available in cylindrical and prismatic forms. A lithium-ion battery is mainly made of the negative electrode, positive electrode, and electrolyte. With high working-voltage, large capacity, long circle-life and non memory effect, it has been widely used as a popular solution to portable power. Furthermore, compared to nickel-cadmium, the self-discharge is less than half, which allows lithium-ion well suited for modern fuel gauge applications. Axiss Technology Company is committed to providing the high standard batteries, chargers and switching power supplies. The Li-Ion battery pack we offer provides the largest energy density to minimize size, making it perfect for use with a long life. 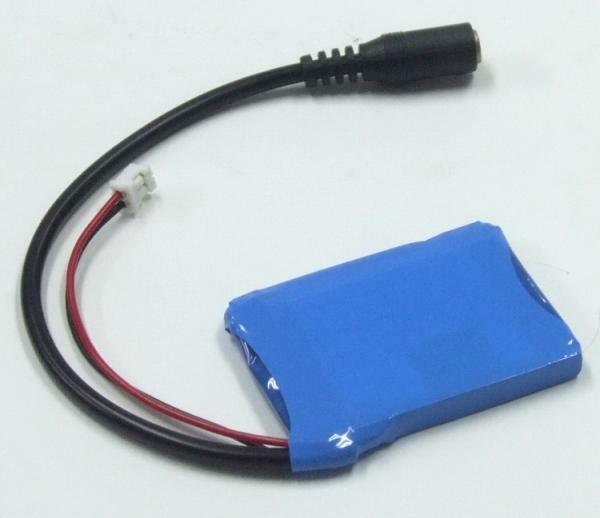 In order to fulfill customers’ huge demands, we also provide custom battery pack and service. You will be satisfied with our superior quality of products and service!